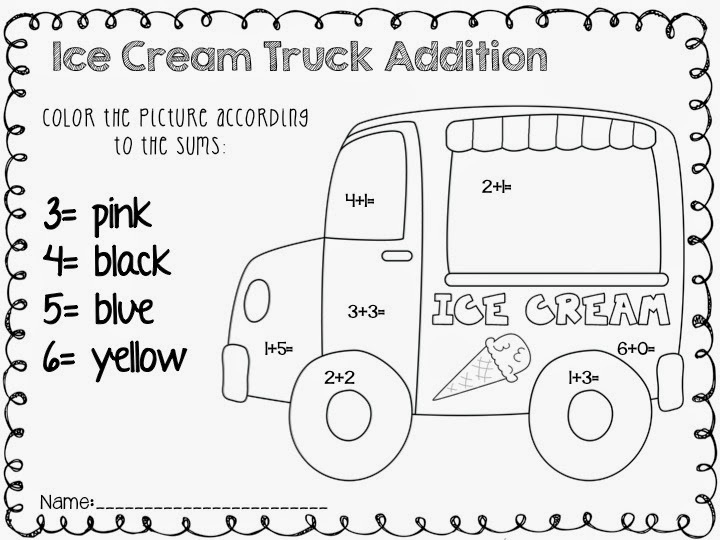 I have been wanting to make an ice cream unit for forever and the time is finally here! Here is a no-prep. 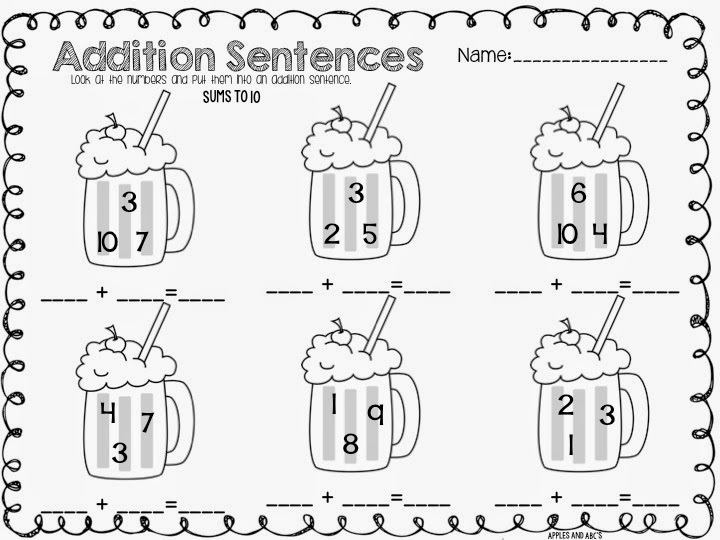 printable pack to help you reinforce addition with your little ones. 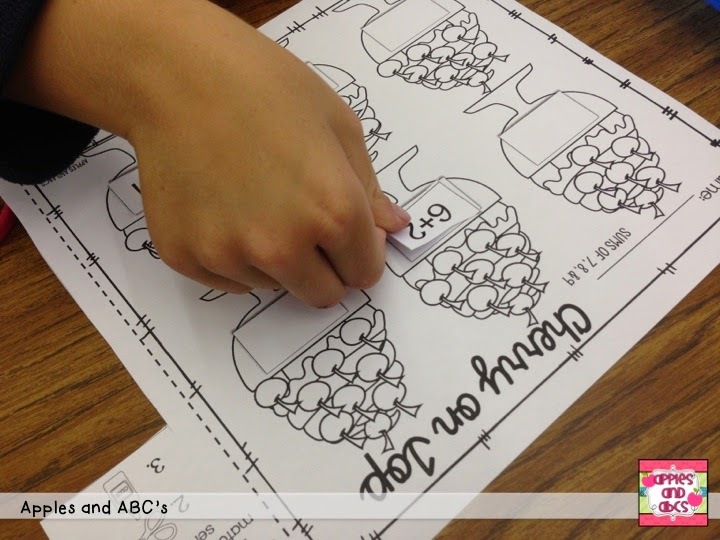 There are several activities, and then differentiated sheets among each activity...take a look! 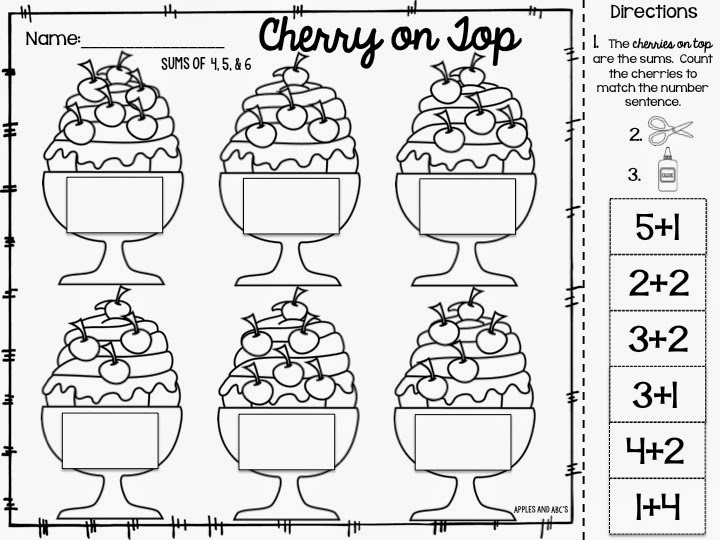 Cherry on Top: the students count the cherries, and find an addition sentence to match! 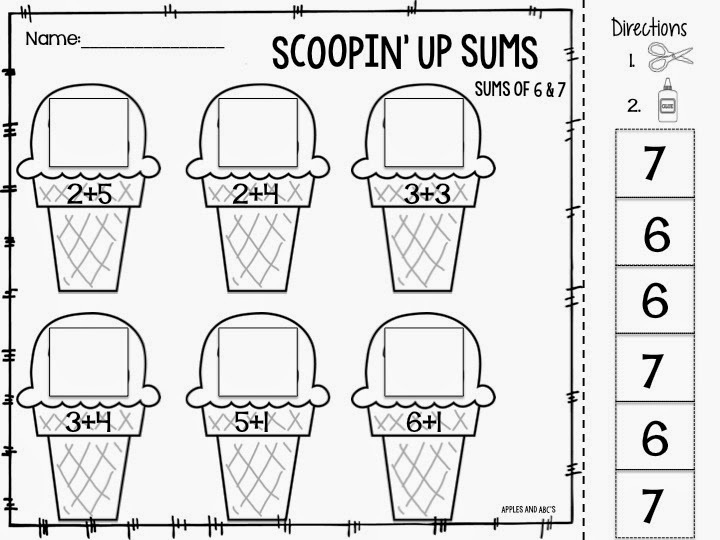 Sweet Sums Sort: the students sort the scoops according to the sum. 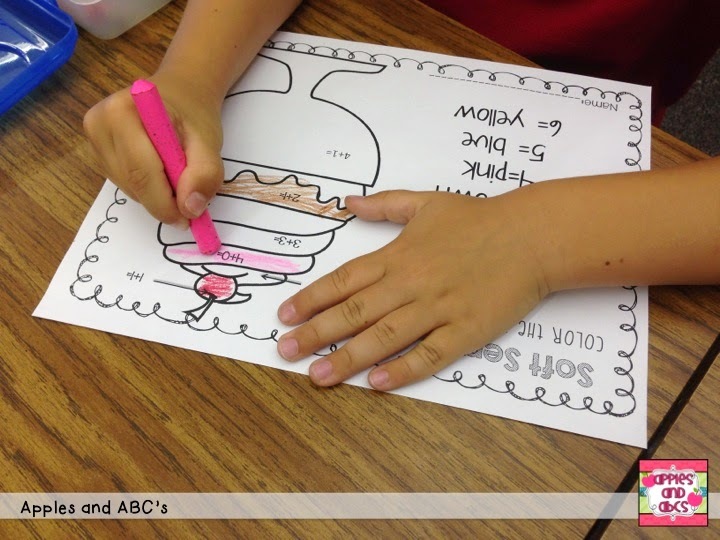 Addition Sentences: the students unscramble the numbers to make an addition sentence. 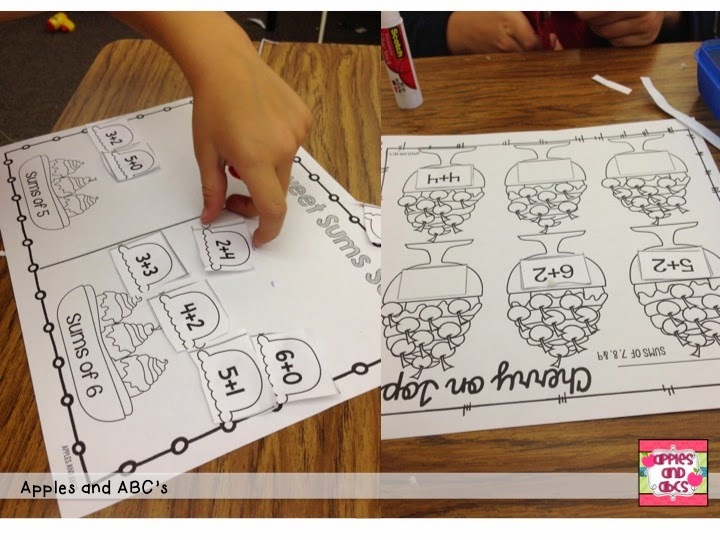 Color by addition: the students solve the addition problem and color by number according to the sums. 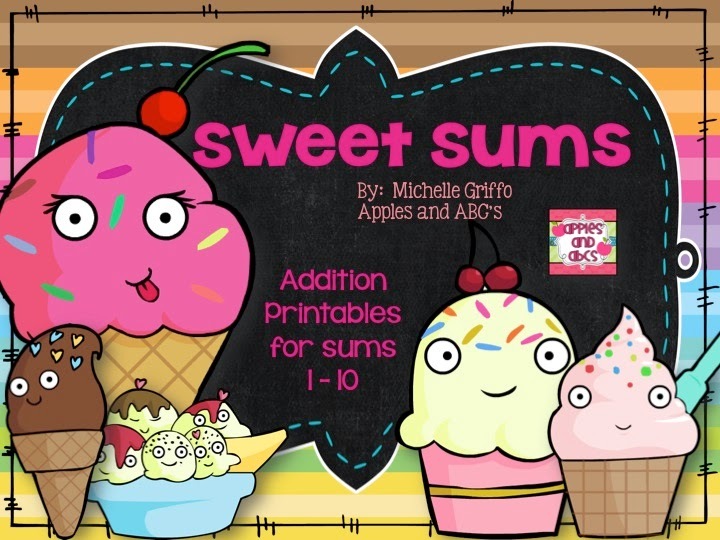 Here are some more examples of what is included in the Sweet Sums pack! 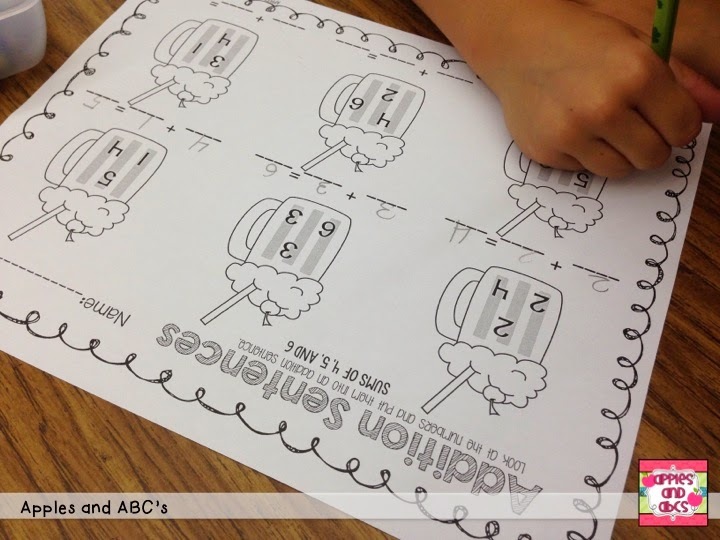 Hopefully this addition unit will be helpful to teach the beginning stages of addition! 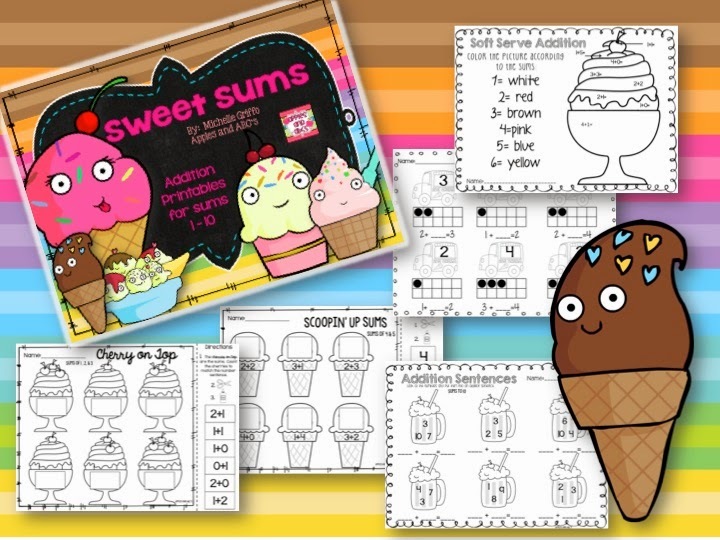 Head over to my Teachers Pay Teachers store to find out more details! Michelle this looks amazing!!! Super fun and cute. Love it! Go girl with your talented self. Can't wait to buy! So cute! 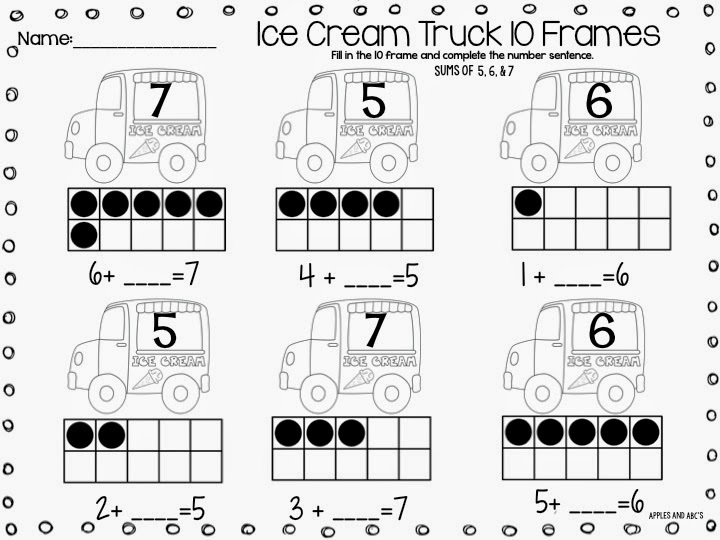 I just started a sweet Math product but for older kids. This is really adorable and creative!